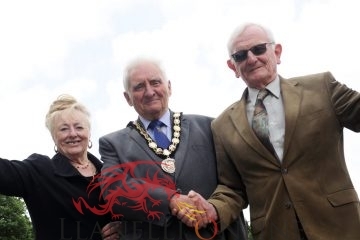 KidwellyvAberystwyth from Llanelli Online on Vimeo. 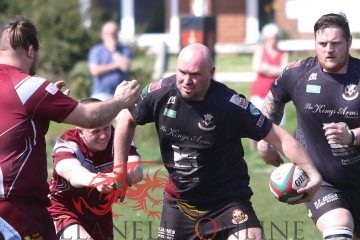 KIDWELLY RFC managed to conquer the might of the Aberystwyth RFC's pack in a cracking game of rugby at Parc Stephens on Saturday (Mar 24). The visitors had travelled down on a fine spring day in expectant mod. Speaking to the Aber coach before the game he said he was expecting a running game from Kidwelly but that he was hoping to keep the game very much centred in the set plays in order to utilise the strength of teh Aberystwyth pack. It appeared to work for a while and the visitors had Kidwelly worried as scrum after scrum went the way of the visitors. Whenever the game broke down to as set piece near the try line Aberystwyth managed to score through a push over try. 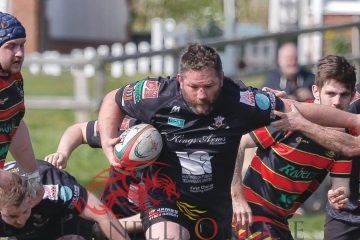 Kidwelly were not for defeat and the worries of Aber's coach were founded as the home side's backs put on a fantastic display of fast flowing passing rugby, which got the crowd going. A range of plays often from one end of the field to the other saw Aber's pack left for dead watching the backs of Kidwelly's jerseys fly by, ultimately resulting in tries. 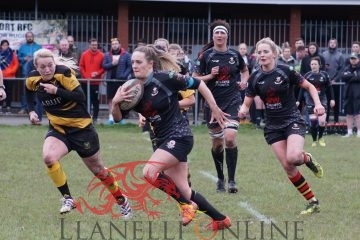 It was an exceptionally entertaining game and the visitors may consider themselves unlucky to lose by eight points but on the day, Kidwelly out played them through sheer speed, fitness and skill.